sending at least five (5) products that are good for you and/or baby, eco-friendly, and useful. 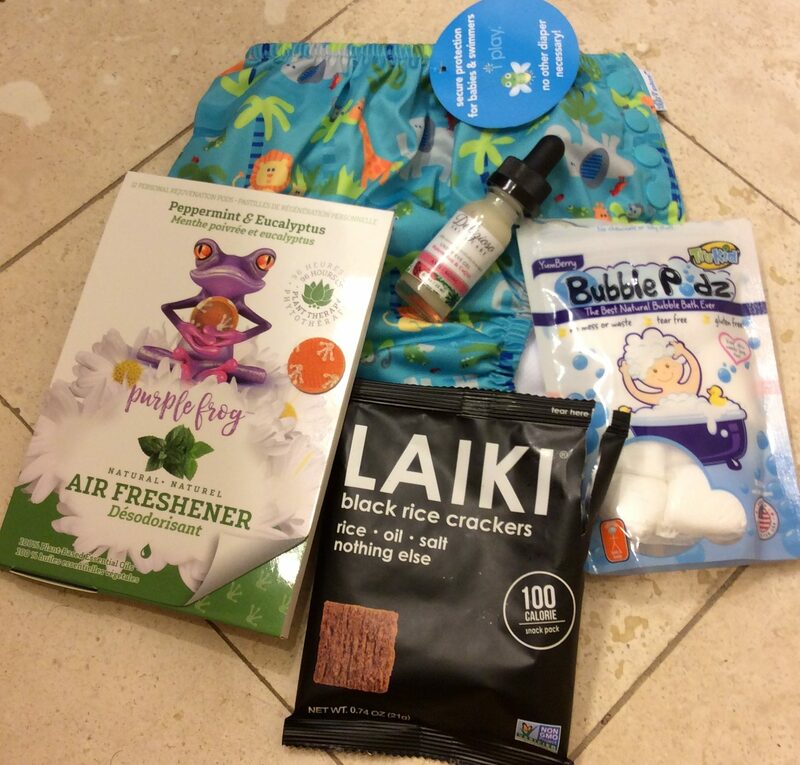 Here is our first peek in this month’s Ecocentric Mom Box! First item… wow this is something different that is useful and something which I have not thought of but thanks to subscription boxes I am introduced to! Wow! This is ingenious! Little aromatherapy 100% essential oil pods that you can stick anywhere and huff! You just pop the little pod and huff away! 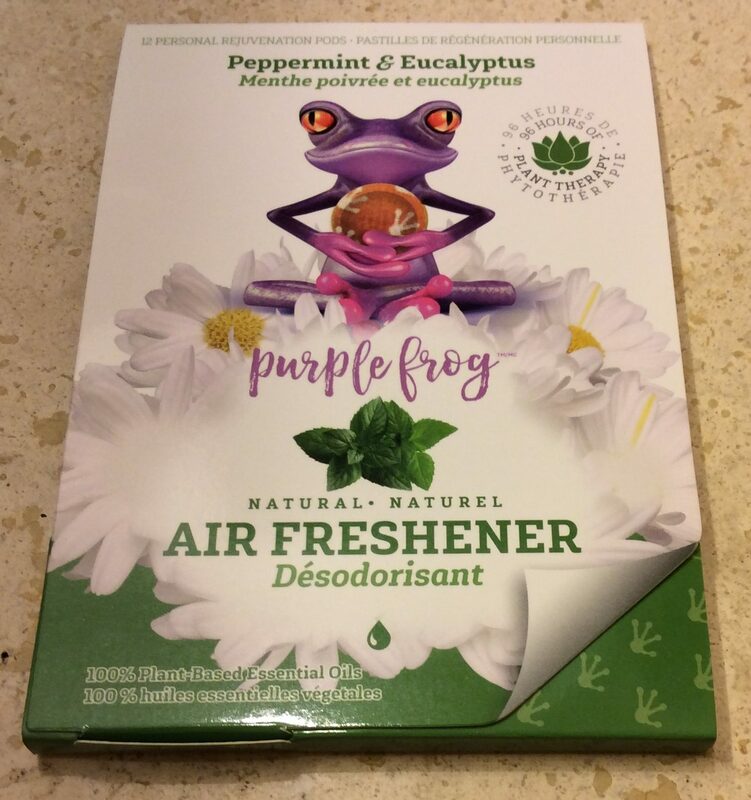 There is also a line of insect repellant and sleepy (aptly called “Snooze Button” aromatherapy pods from the Purple Frog line. To pop out a pod and then “pop” the pod was very satisfying. The scents of rosemary and mint where very refreshing. 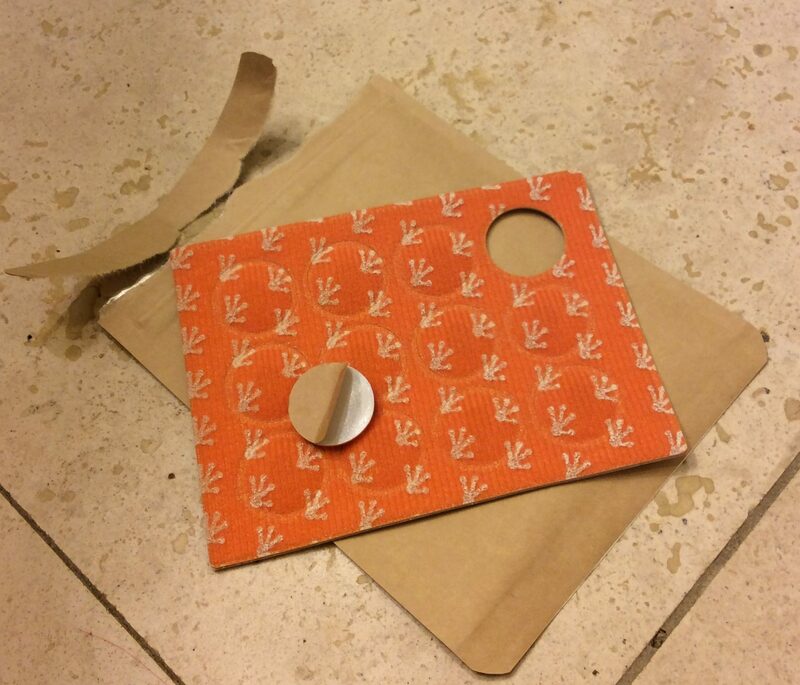 This is something I can totally see putting in my purse in case I needed a discreet way to huff something instead someone stinky on public transportation or in a bag of something stinky that I need to hold onto before I can find a trash bin to toss it out. 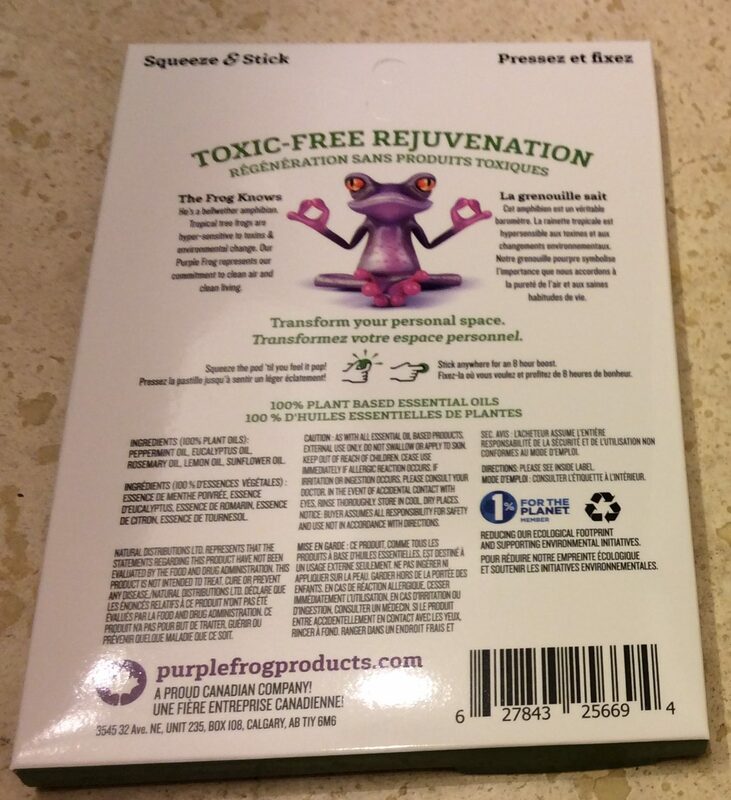 And for its original purpose to rejuvenate and perk you up (I am sure if Purple Frog is reading this they are like “Focus Pnut, focus”)!!! If you like rice crackers you will like these. 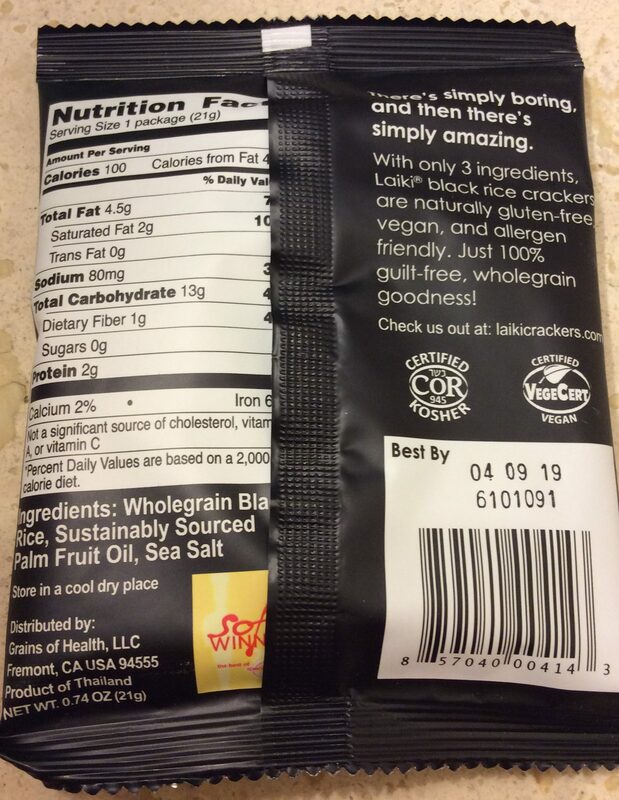 I believe these are healthier than the traditional asian crunchy rice crackers that I like to snack on. 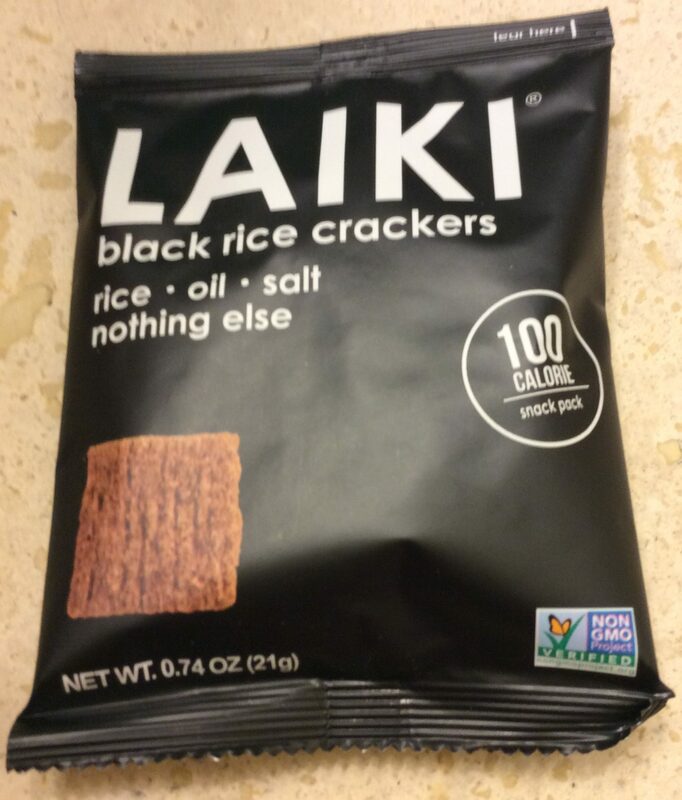 LAIKI Rice Crackers has either a black or red rice variety and I am curious to how the red rice tastes like. 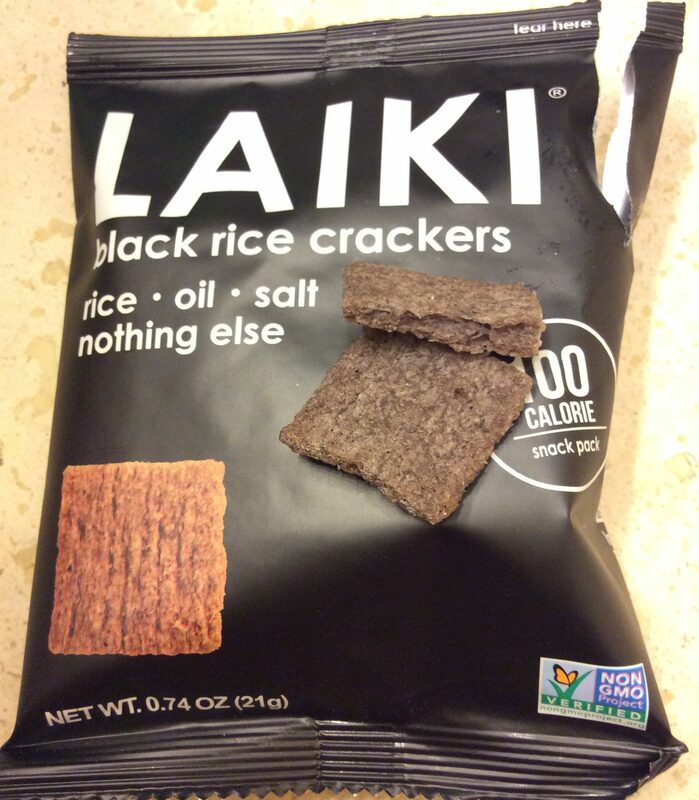 The only other thing that is curious is that the packaging picture depicts a brown rice cracker but the actual rice cracker looks a little purplish if you see above. Anyway these are great for munching as is or with a dip, spread, or something nommable as a topper. Oh my goodness, I had mentioned/digressed in a previous review(s) that I LOVE iPlay swim diapers and behold, I have another one to add to the collection! I love it because of the side snaps in the front are easy to button or unbutton. This size is 4T but will probably fit with a child that wears a medium or large disposable swim diaper or Size 4 or 5 diapers. 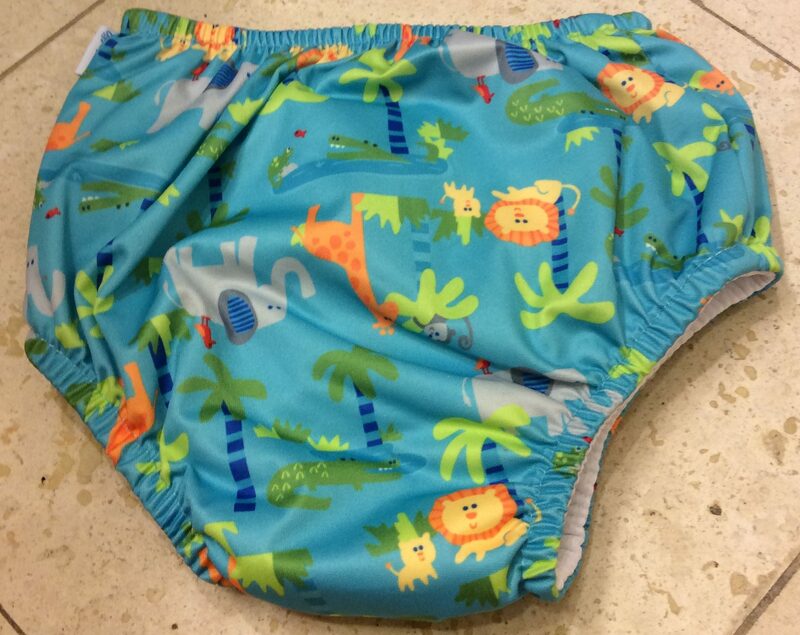 Most places want a child to wear both a disposable swim diaper over a cloth swim diaper so this is perfect! I love gender neutral prints because one never knows what the future might hold. Up next is another awesome I never thought I needed but now I.NEED.IT!!! 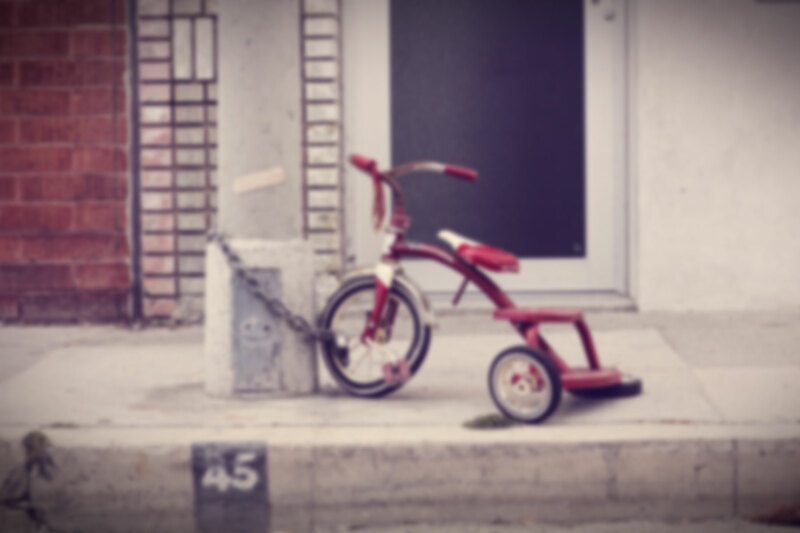 This is SOOOO AWESOME. And perfect if you are traveling only have an carryon because this is not a liquid bubble bath. And it smells like Bubblicious bubble gum! 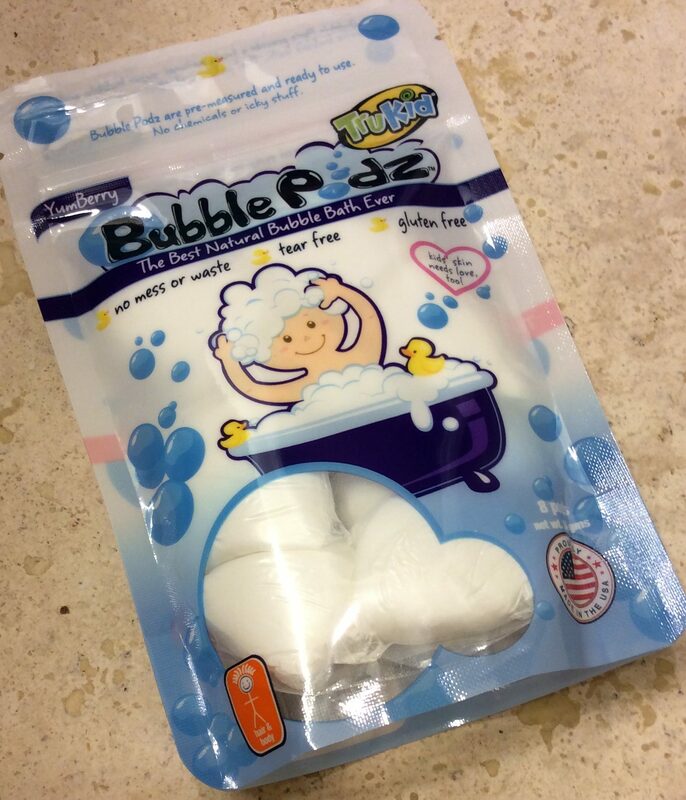 I had to put my squeakers in the bath tub I was so excited when I received this product. The pod dissolved so easily! 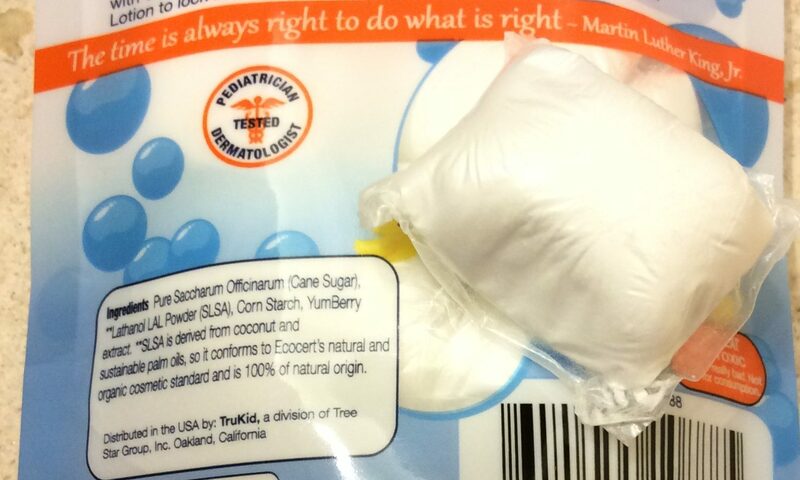 Also the pods are safe for eczema. My squeaker with eczema, Pipsqueak, did not break out from this! I am totally going to repurchase this in the future!!! Ohhhh anything in pink bubble wrap is a good thing (with a coupon to boot)! I am looking forward to trying this out especially since you can use this both as an eye and face product (it is spot treatment for dry and/or fine lined skin which translates to me as its ok to put all over ma face). 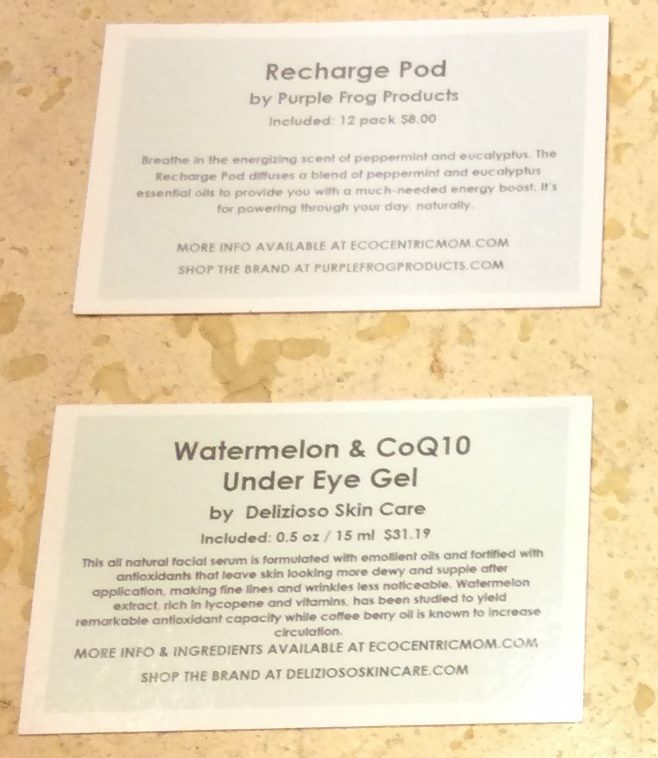 Even though I have a ton of eye stuff that I should use but I am a simple/lazy/multitasking lady with other stuff in her mind than to remember to apply specific eye skincare stuff. 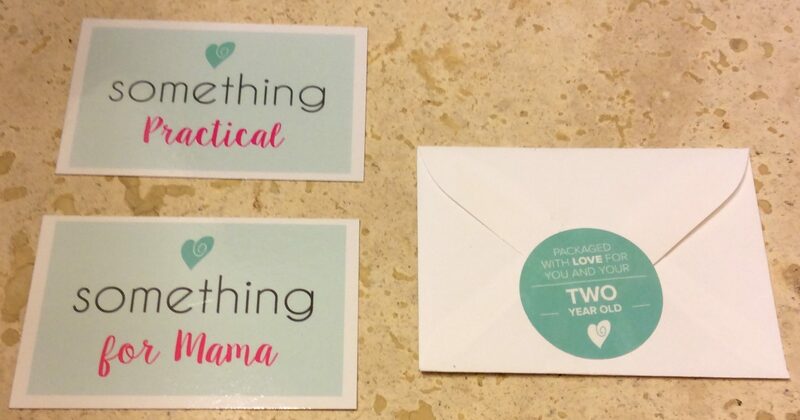 Another awesome Ecocentric Mom Subscription Box! I am so happy this is such a great monthly box to receive that always delivers. The curation is spot on and thoughtful. I love that this monthly box comes with a nom, at least something for me, at least something for the wee ones in my life, and whatever I do not want I can always gift away to someone who would appreciate it. 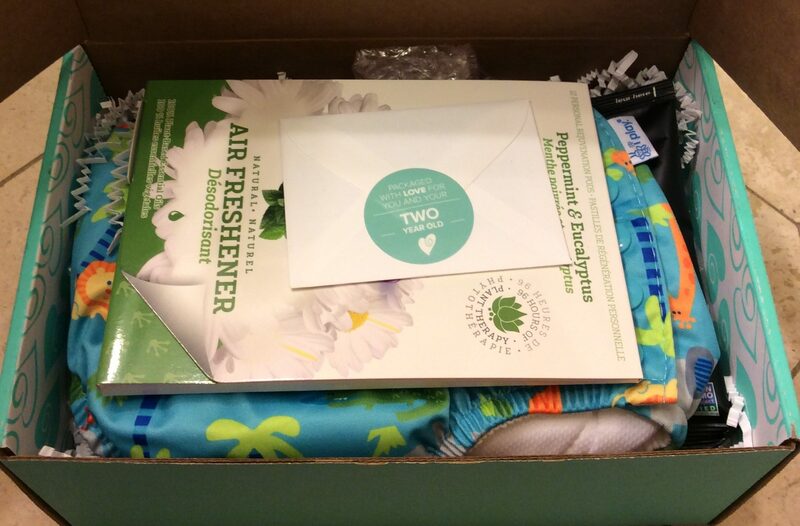 I am so excited the most about receiving a swim diaper and those bubblebath pods. Those bubblebath pods are a total flashback to my wee hold for their yummy scent and they work so perfectly and do not cause an eczema breakout! Great review. 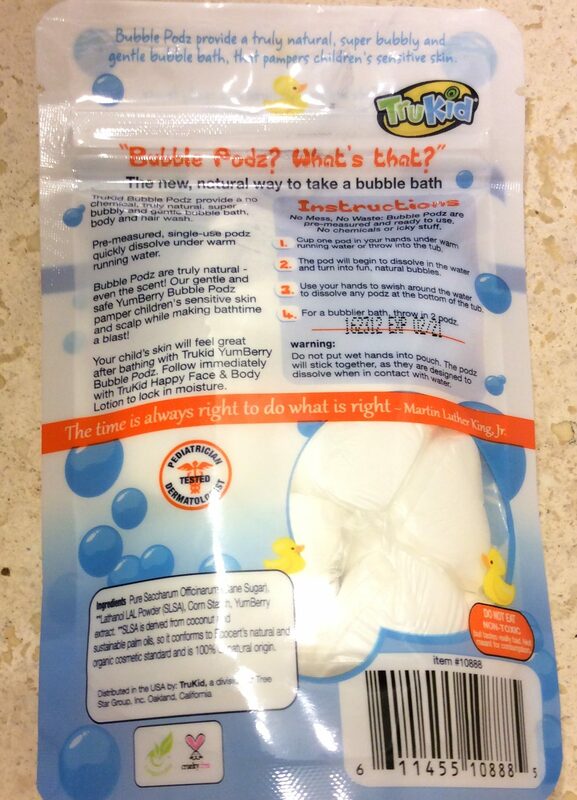 I’m going to order some of those bubble pods for my grandkids. A couple of them have really sensitive skin and can’t use regular bubble bath. This looks like a good alternative and it looks fun! Seriously these are the best bubble bath for sensitive skin. An other alternative is California Baby’s liquid bubble bath sensitive version but its expensive and you need to use a ton of product to get a decent amount of bubbles.